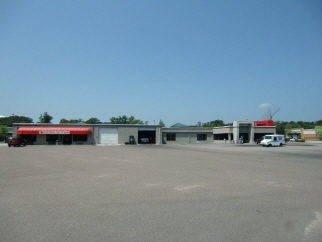 Interior Features Bank Owned - 500 N hwy 52 - Prime commercial real estate with access from two US Highways (52 & 17). Formerly an automotive sales, service, and fiance center. Paved parking for 300 vehicles. Offices, automotive bays.